With 300 vehicles towed last year during Mardi Gras, the Mobile Police Department is reminding drivers of the meaning behind the gold and purple signs. 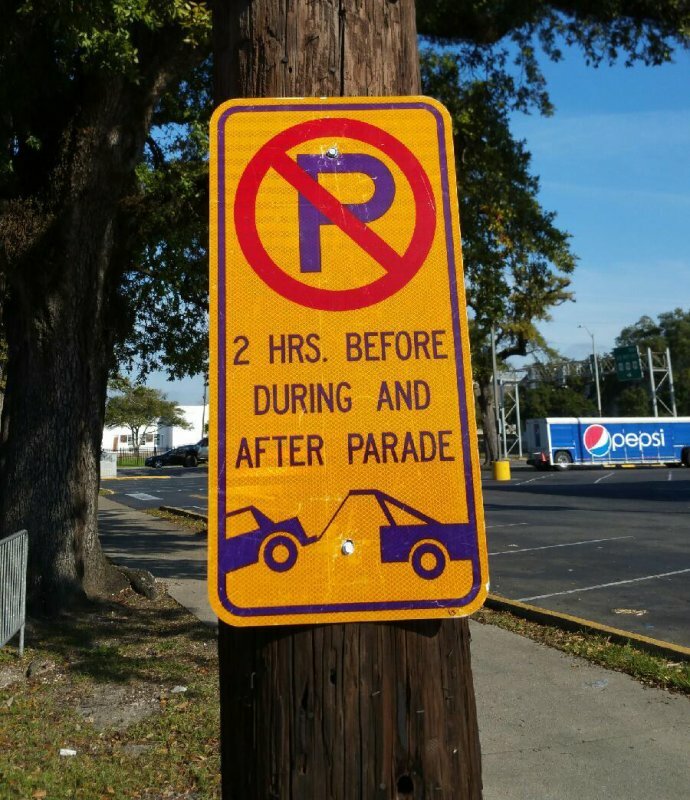 The gold and purple signs are up in the downtown area to show exactly where parking is not allowed two hours before, during and after a parade. To avoid paying a $125 to retrieve a towed vehicle, please pay attention to the no parking signs. Towed vehicles will be taken to a Temporary Impound Lot, located at Royal and Madison Streets. That temporary fenced lot is next to the Mobile Cruise Terminal near the I-10 roadway. The Temporary Impound Lot stays open 1 hour and 30 minutes after the end of each parade. The telephone numbers for the Temporary Impound Lot are 251-694-7813 and 251-694-7823.